A Spring Valley resident who ran down a man with his car following a confrontation that began at a McDonald’s drive-thru lane near Cuyamaca College was sentenced Friday to 16 years to life in state prison. 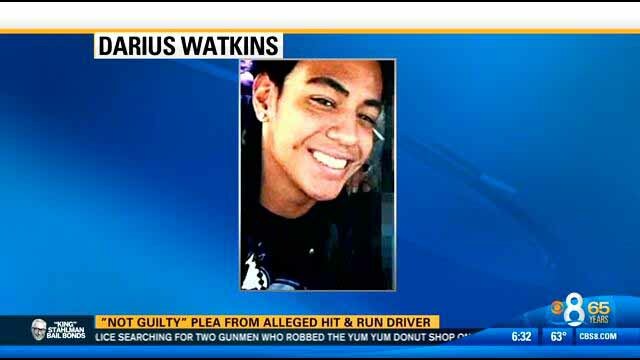 Darius Risberg Watkins, 21, was convicted of second-degree murder in the death of 26-year-old Jorge Alberto-Rocha Osuna of National City. Osuna was placed on life support after being struck about 2:30 a.m. June 16, 2014. He died two days later. Authorities said the victim and a companion were in the drive-thru lane in the McDonald’s on Avocado Boulevard in Rancho San Diego when two vehicles pulled in behind his car. A man in one of the cars behind Osuna’s emerged and banged on the windows of the restaurant and the victim’s car. Two men in the victim’s car got out and a fight ensued. After the fight broke up, Osuna and his companion drove to a home on Avocado Village Court and the drivers of the other cars followed. They revved their engines and drove at Osuma as he stood in the driveway of his apartment complex but swerved and missed him. 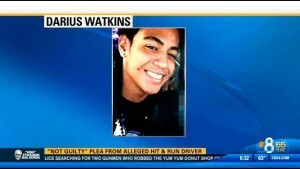 Watkins then backed his car up and rammed Osuna, pinning him against a wall, authorities said.